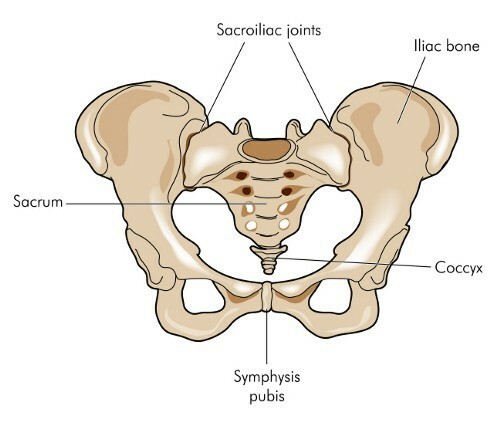 erves found at the lowest part of the back, or lumbar spine specifically in the L4, L5, and S1 levels combine to form the sciatic nerve, which runs down the entire back, side of the legs to the foot. The sciatic nerve provides sensation and muscle control to these particular regions of the body. It is when these nerves are irritated or compressed (pinched nerve) that pain arises. Incredibly, about 3 million people a year suffer from sciatica in this country. Sciatica is a type of radiculopathy in which patients frequently report pain or tingling in the gluteus, hamstring, calf regions or a tingling in the feet. Furthermore, when a compression becomes severe, patients may feel weakness in the leg muscles. Most instances of sciatica, or any other form of radiculopathy, arise from degenerative arthritis, or spondylosis, herniations, bone spurs, and spinal stenosis. Factors which can lead to sciatica include heavy lifting and repetitive bending. These actions can develop tears in the capsule of a disc, allowing the soft core inside to push out. The resulting slipped disc, or herniated disc, can compress a spinal nerve, leading to pain wherever that nerve travels. It is a common symptom, as nearly 3 million Americans suffer each year from sciatic nerve pain. The knowledgeable experts at North Jersey Spine Group (NJSG) attest to sciatica pain subsiding without the need for long-term treatment. The doctors at NJSG can best distinguish between routine sciatic pain or possibly a more serious and involved intervention method. Providing renowned and board-certified neurosurgeons, also spine surgeons, physiatrist, pain management physicians and physical therapists, NJSG doctors collaboratively treat each case of sciatica. With multiple facilities spanning northern New Jersey from Bergen County to Sussex County as well as surrounding towns of Hackensack, Allendale, and Paramus, NJ patients are welcome to contact North Jersey Spine Group to end suffering from sciatic nerve pain.